Cushioned comfort; a pillow of sumptuous upholstery is permanently stitched upon the mattress, invariably giving it an absolute glorious look and a sublime feel. 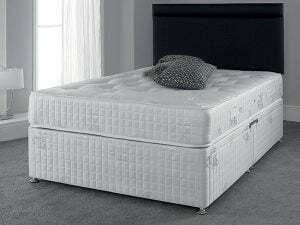 Built in two parts, the pillow top is stitched on to the top of the support creating a two tier mattress. 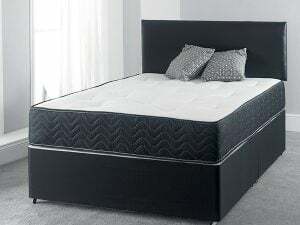 An immediate sense of comfort is derived from the pillow top section which is provided by the instant response from the memory foam combined with the reflex foam to give a consistent level of pressure-relieving support throughout the night, keeping the shoulders and hips in alignment. Combination layers of fillings, luxury stretch fabric, and side stitched border, held securely in place by large woollen tufts provide an exquisite feeling of comfort and support. 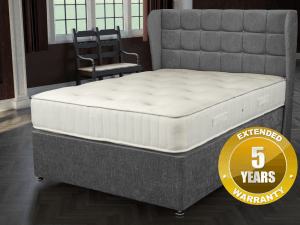 The extra padding helps to dissipate your body weight, provides insulation and adds longevity to the ‘plumpness’ of the mattress. Individual springs contained in a fabric pocket, totally independent of the springs that surround it, gives a soft to medium feel and helps eliminates roll. 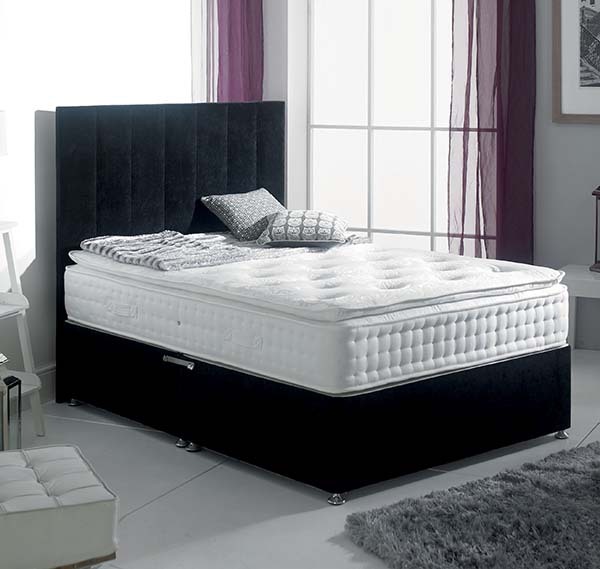 The Irish Beds Marquis Mattress provides sumptuous comfort layers required for the firmer support spring unit designed to fully support the back whilst sleeping. 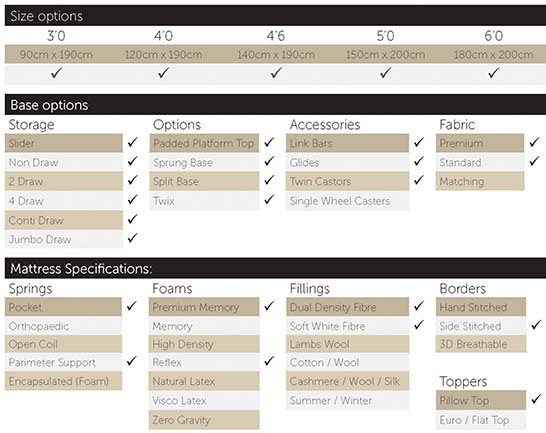 This mattress has been made by skilled craftsmen with your comfort in mind. It is fully guaranteed against faulty workmanship and materials.